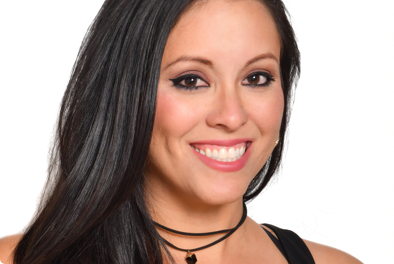 Ms. Belen is a born and raised Phoenician and began her dance career at the ripe age of 26 months thanks to her over-eager mother! Thank goodness because she fell in love with dance from the very beginning. She was involved in the competitive dance world until she was 9 years old and left dance to pursue her other favorite hobby, gymnastics! She was a part of the competitive team and competed all over AZ, as well as in the southwest region for several years. However, she returned to her first love of dance in high school and never looked back. In college, she was the captain of the Arizona State University Dancing Devils and danced on the team all four years she attended Arizona State University. While at ASU, her choreographed pieces were showcased in Celebration of Dance at the Herberger Theatre and she also choreographed for pageant contestants in the Miss Arizona Pageant. Upon completion of her Bachelor of Science in Justice Studies, she transitioned from performer to teacher. She briefly taught an adult fitness class, Bella Barre, that combines yoga, pilates, and ballet and continued her passion for gymnastics while teaching at a local gymnastics facility. Currently, she works within the judicial branch of Maricopa County and is the Pom coach for Sunrise Mountain High School. The rest of her energy is focused on teaching jazz to the students she loves so dearly at The Dance Project.